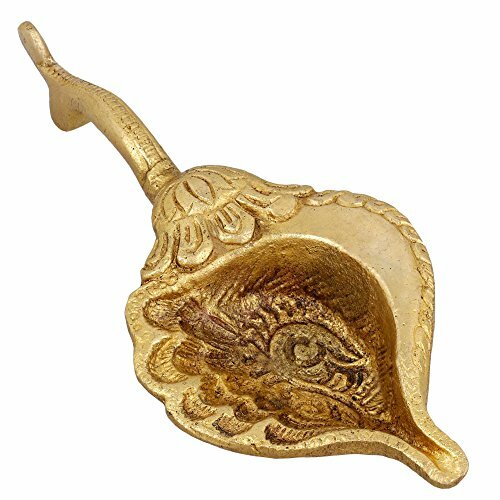 Measuring 6 inches by 2 inches in size, the Handmade Indian Brass Oil Lamp is fully artisan crafted in India, making it a truly authentic diya. The brass craftsmanship allows the oil lamp to be filled and used again and again, and the design of the diya makes it as safe as possible. Plus, there are feet at the front to keep the diya stable to avoid spilled oil. Celebrate this Indian Diwali puja festival with idols statues and sculptures of Hindu gods and goddesses. Order the Handmade Indian Brass Oil Lamp today!